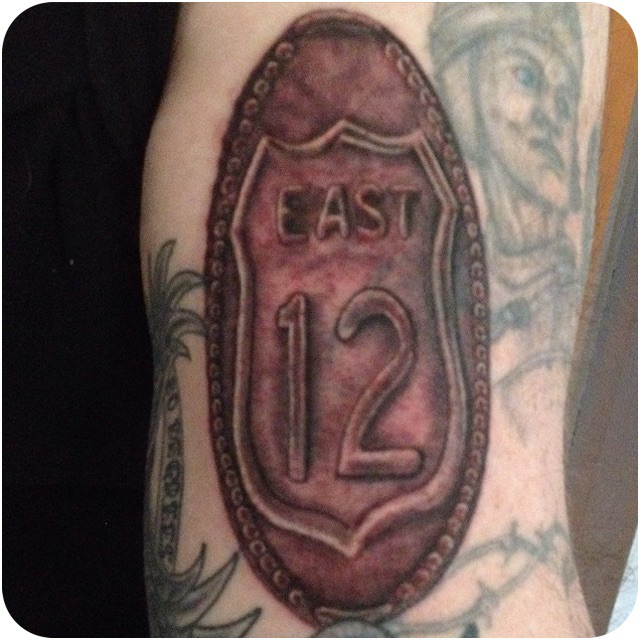 You are here: Home / The Ultimate Statement: An US 12 Pressed Penny Tattoo! So you’re no doubt a fan of elongated coins or you wouldn’t have landed on our website, right? You may even be a “die hard” collector hunting down those gems from all around (near and far) and you may also be an active trader and/or buyer of smashed pennies. But did you ever think about making the ULTIMATE STATEMENT?? Well – Jeff Jolly did just that!! Want your own Pressed Penny Tattoo? If your in Michigan near Farmington check out the Evolve Tattoo and Body Arts Studio – Tattoo & Piercing located in Downtown Farmington. Evolve body art studio is down town Farmingtons oldest and finest Tattoo and Body piercing studio. Clean environment, friendly staff, professional artists. Schooled in the majority of tattoo styles, Artist/Manager Jon Joslin has been tattooing since 1993 and piercing since 1997. Started tattooing in Michigan then moved to SW Florida for 13 years of sun and fun. Returned to Michigan in 2009 and now has made Evolve his home for over 3 years.